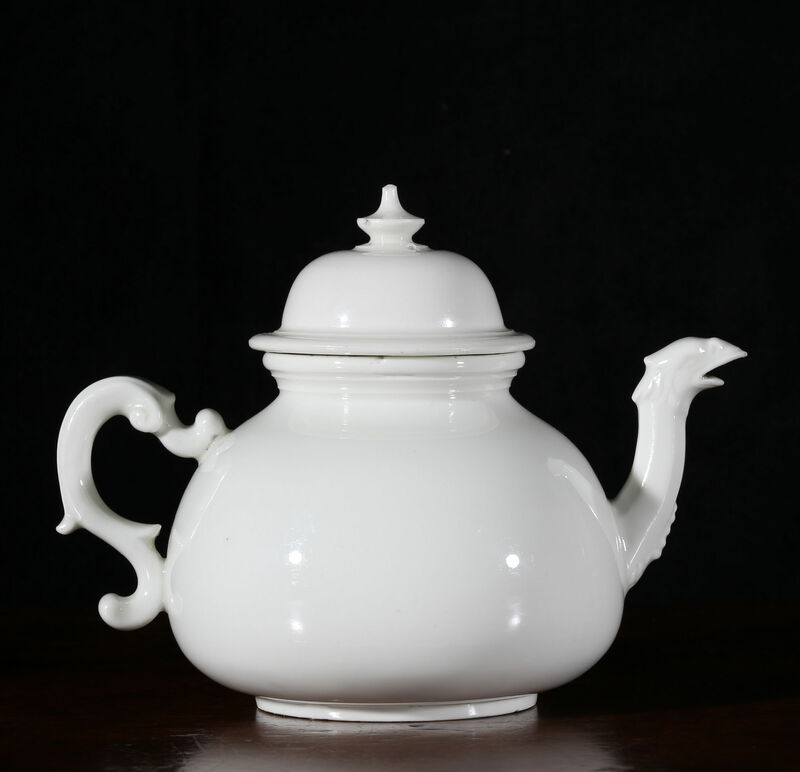 With squat globular body and fine ivory glaze, a silver-shaped handle, eagle-headed spout and high-domed cover. 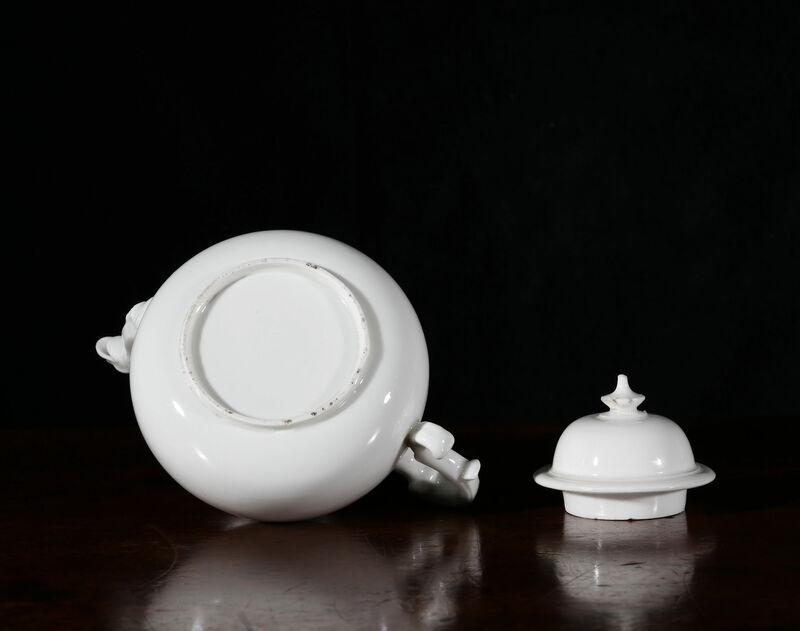 Teapots with the same handles and spouts were also made in Böttger red stoneware before 1713. 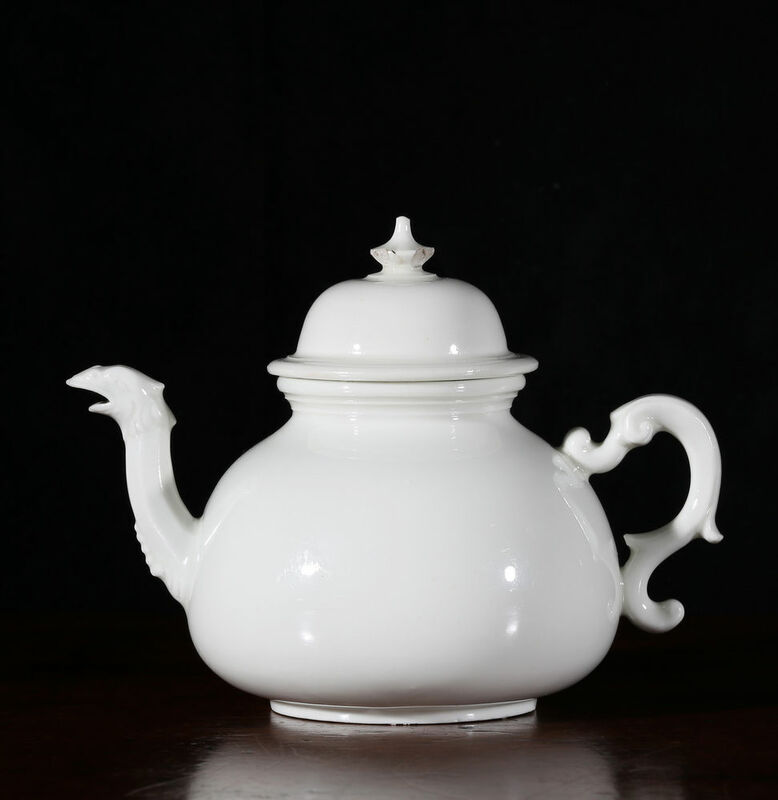 White porcelain was first sold commercially by the factory in 1713, many of these earliest productions closely followed stoneware forms. 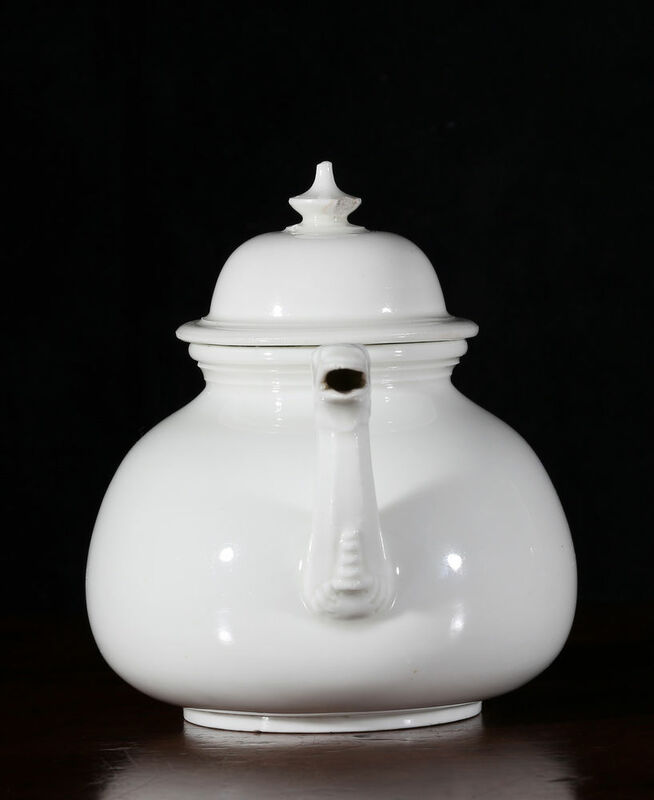 Versions of similar form, but with octagonal bodies in red stoneware, are illustrated by Claus Boltz in his paper on the 1719 inventories of the Meissen manufactory warehouses at Leipzig, Steunzeug und Porzellan der Böttgerperiod, in Keramos 167/168 (2000), p.111, ill. 137, 138. Further variants of the form are listed on p. 127.